Refugees face challenges at every stage of their journeys: from clandestine border crossings to perilous oceans, to underfunded and overcrowded refugee camps or insecure urban accommodation. For refugee women, these risks are constantly heightened. Many of the risks faced by women in camps, both in Europe and elsewhere, stem from the space itself. Insecure shelters, lack of safe spaces and alienation from policing and reporting of crime create interlocking risks and, often, a climate of impunity. Single women, or women-headed families, are particularly vulnerable – and they are often forced to rely on men for protection, placing them at further risk of exploitation. In camps across the world, incidents of abuse and gender-based violence continue to be documented. Yet exploitation can also take more subtle forms. Lamya Karkour, who worked at the Intervolve Women’s Centre in Northern Greece’s notorious Softex camp, noted that “men were often taking the [UNHCR cash] cards of women in order to access services or get cash in the city – sometimes with the intention of helping the women out, but often the support was not sincere. This also resulted in women become dependent on others in the camp, and not knowing how to get cash or access services in the city.” Insecurity in camps can therefore chip away at women’s autonomy, both during their time in camp and beyond. The risk of sexual and gender-based violence is often exacerbated by inadequate camp facilities. Poorly lit hygiene facilities, and weak locks have often resulted in women feeling too afraid to use the washrooms after dark. Lamya and the Intervolve team noted that women in Softex – a camp funded by the European Union – “were afraid to leave their tents or caravans at night to go to the toilet…and even in the day women would guard the communal toilets for each other. One man even created a toilet inside [their] tent for his pregnant wife.” This reality pushes women further from camp life and rendered them increasingly vulnerable. Cultural, linguistic and experiential barriers further limit women’s access to healthcare, particularly that which is provided by the state. Inca noted that fears of the French state, often rooted in experiences of police harassment or discrimination, meant that many women were unwilling to go to the hospital – often with devastating consequences. Such experiences and challenges are not simply erased when women are relocated to urban or long-term accommodation. Inca noted that many women from Calais, who are now living in the UK, are at-risk of re-entering abusive relationships as they seek a measure of protection from destitution or other threats. Furthermore, it was also common for smugglers to ask for “extras” from women seeking passage to the UK. The feeling of having few other choices, and the risk of using transactional relationships as a way of ensuring basic shelter and some form of security, is not easily overcome. Insecurity and the threat of abuse effectively removes women from camp life, denying them access to basic services as well as having a detrimental effect on their physical and mental wellbeing. Grassroots efforts, including the centres – first in camps, and now in cities – where Inca and Lamya have worked, have supported vulnerable women across Europe and the Middle East. Yet all of us would agree that this is not enough: these protection challenges can only be overcome with policy and practice reform. Humanitarian response should be sensitive to intersectional vulnerabilities – both in theory and practice – and provide effective protection for all who are at risk. 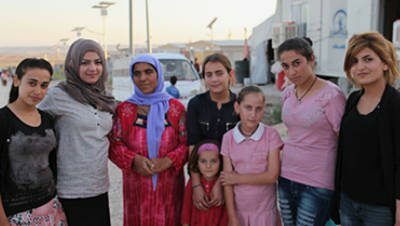 Help Refugees supports women’s centres in Greece, Lebanon, Syria, and the UK. 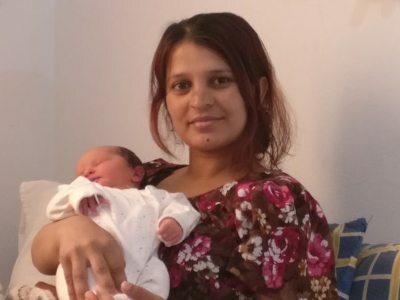 This article was prepared in collaboration with Lamya Karkour and the whole team at Intervolve, who managed the women’s centre in Softex and now run the Irida Women’s Centre (Thessaloniki, Greece), and Inca Sorrell from the Meena Centre (Birmingham, UK). To help us help them, please donate here.